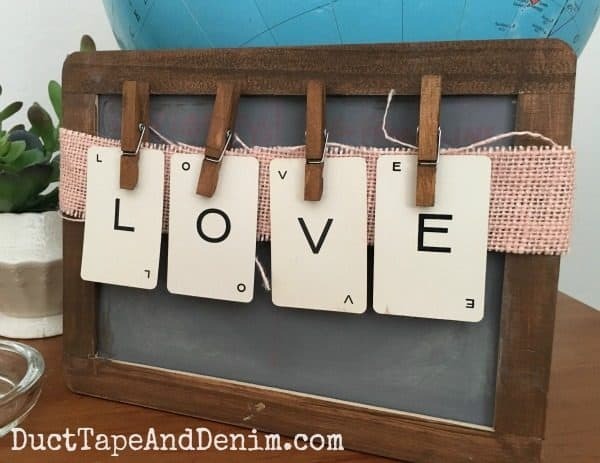 Here’s a little vintage style Valentine’s Day decor that I pulled together for our guest room from stuff I had stashed away in my craft room. “Love makes the world go round” was my theme. What do you think? I really liked this project because it wasn’t permanent. I reused all of the pieces in other projects once Valentine’s Day was over. I actually stained this frame way back when I went to the Snap Conference in Salt Lake City. Minwax had a make-and-take booth and were sharing their new (at the time) product, Wood Finishing Cloths. Convenient, but I still like my good ole’ tube of Minwax stain. I used to find old Probe games at thrift stores and garage sales all the time. I think now resellers are buying them up and listing them on Etsy! Even there, they’re not very expensive. I also used these cards for the card box banner at Jordann’s wedding and a LUCKY card garland for St. Patrick’s Day. I punched holes in both of those but they could still be reused. So, I wonder how many other craft projects I could come up with without going to the store? I would love to know if you have any Valentine’s Day decor at your house. Leave a message and let me know if/how you decorate. Love love love this! So stinkin’ cute. So cute! I would like to invite you to share this post over at the Share The Love Valentine Link Party. Happy Valentine’s Day! Such a cute Idea. Happy Valentine’s Day! Thanks for sharing at the Inspiration Spotlight party. Pinned & sharing. 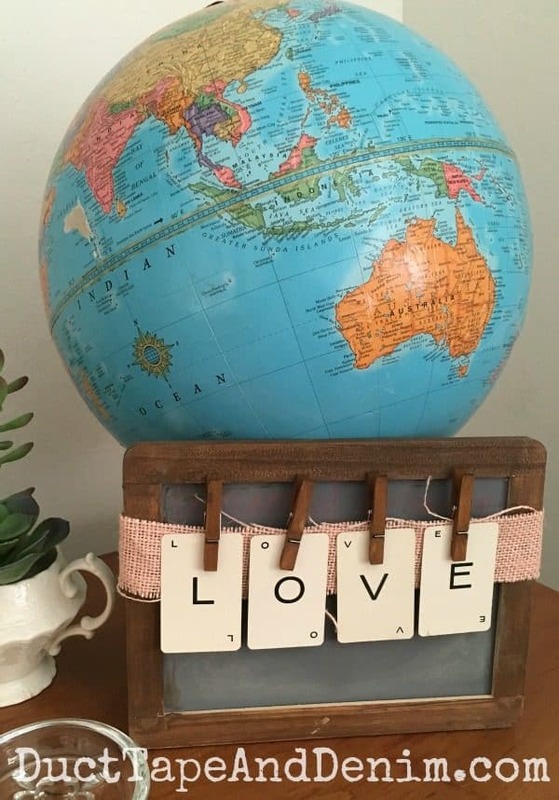 What a simple idea and so cute! 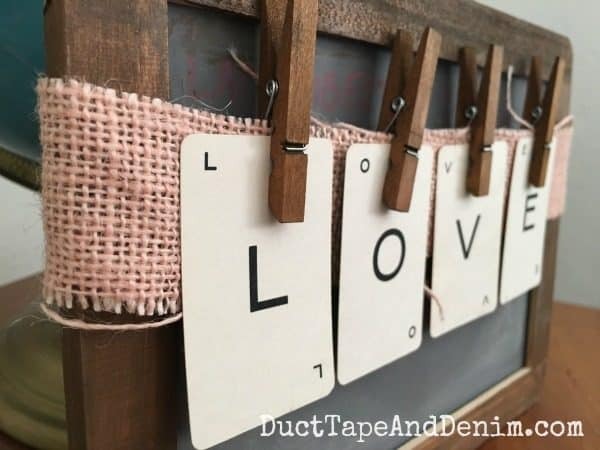 Love the idea that it’s not permanent where you can reuse the items in another project as well once Valentine’s day is over.